Even though instruments that detect pipes and cables have been around for a number of years, they are, I believe, under used. Pipe and cable detectors are indispensable tools for any contractors in the building industry from plumbers to electricians, and installers who have to drill holes into walls from time to time. All DIY homeowners should own one of these as well so that they know if they can safely drill in a particular spot or not. Building inspectors will also find this tool useful when making a report on a site. This universal detector for locating wood, metal, copper, iron and live wires is manufactured in Germany and distributed locally by RT Agencies cc. You can visit the rtagencies website. One-button operation to switch between the different measurement modes. The user guide on the LC display makes the MultiFinder Plus easy and reliable to use. Auto-Cal Plus: allows objects to be localized easily in Metal-Scan mode. Special feature: in metal mode it is even able to detect concealed lines when they are not live. 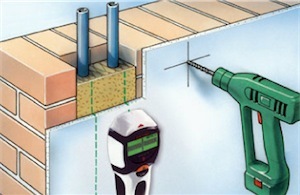 The range of detection is up to 40 mm for wood/metal beam location in dry-walling i.e. a stud-scan, non-ferrous metals up to 50 mm and ferrous metals up to 100 mm depth. 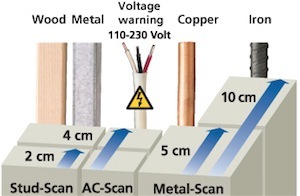 Live and dead electric cables can be measured to a depth of 40 mm with a live wire warning alarm built in. 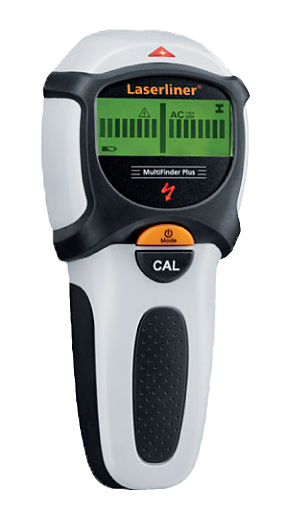 The MultiFinder-Plus is the top-of-the-range model and there is a smaller model, the CombiFinder-Plus with a few less features but still a key piece of equipment to have in your toolbox. There is more information on the RT Agencies website. can we detect PVC Pipes by using this device ? Hi Thuso, you can contact Robbie van der Walt: robs@rtagencies.com he might be able to help. Good day can you please help I’m looking for a quote on a pipe detector I need to break down a wall in my kitchen but I need to see where the pipes are. 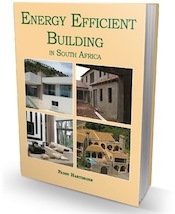 Hi Wimpie, contact Robbie van der Walt Mobile: 082 444 2334 Office: 011 976 0388 Fax: 086 635 8799 email: robs@rtagencies.com He will either give you a price or tell you where you can get one in your area. your RSSfeed to my Google account. I look forward to new updates and will talk about this blog with my Facebook group. I would like to know if you have any detector who could detect plastic water piping? I am from India and in India we construct only brick and cemented walls.Will the laserliner will help to detect concealed PVC/metal pipe water lines as well electric pipe lines ?Where to shop the product ?If not please advise any other product. With regards. You probably need a registered plumber. Also have a look at this link that talks about detecting pipes etc. It might prove to be very helpful. Just got to love your answer.. I will required a Meter for Detect of – Water Pipe Electrical Pipe & Iron inside Wall , I am from India _ New Delhi – May Please Suggest. Hi Pradeep, You can contact Robbie van der Walt in South Africa Mobile:+27 (0)82 444 2334 Office: +27 (0)11 976 0388 Fax: +27(0)86 635 8799 email: robs@rtagencies.com For a pipe and cable protector. Hi I have a problem with a wiring fault and would like to detect the position of none live electric cables as my circuit breaker is tripping as soon as I try to reset it so hence the cables are dead.Which model Laserline would be appropriate for this job ? You can contact Robbie van der Walt Mobile: 082 444 2334 Office: 011 976 0388 He is the LaserLiner expert and he will be able to advise you as to the best unit for the job. BTW you can mention that you got his number from our website, thanks.